We’re only hours away from Hyundai unveiling its new flagship three-row SUV, the Palisade, at this year’s LA Auto Show. 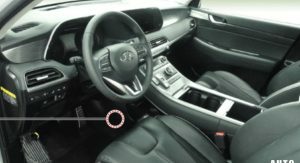 The automaker last teased us with the Palisade yesterday, enlisting the aid of South Korean boy band BTS, which also operate as brand ambassadors for the new model. Still, the Palisade is expected to succeed in North America, where it will go on sale next summer. 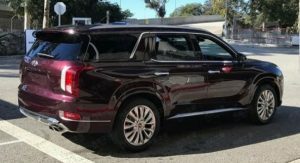 Even though this is a large SUV, capable of seating a total of eight people, it’s not quite as imposing as some may have expected. 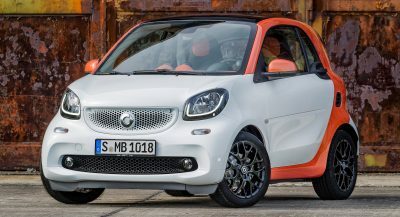 Still, the massive front grille, “squinty” headlight design and somewhat boxy exterior give it a sufficiently strong road presence. We could also go as far as to say that the rear end design give it a predominantly ‘American’ feel, as does the view from a rear 3/4 angle. No surprise, since even its name (Palisade) is meant to reference an affluent coastal neighborhood in Los Angeles, which is actually called Pacific Palisades. 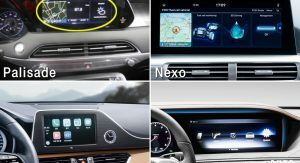 Images sourced from both AutoDaily as well as Auto Post via Naver, also depict the SUV’s interior, which from certain angles looks almost Mercedes-like, except that it doesn’t actually feature a dual display setup, despite the unified shape of the gauge cluster and infotainment screen surround. 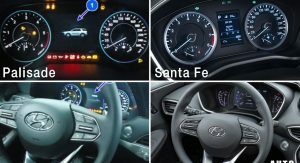 Also worth noting is the Santa Fe-like steering wheel, new climate control setup, wireless charging pad, a center console dial for different drive modes and of course buttons for the automatic transmission, although to us, that Reverse button looks like it might make certain drivers stretch a bit in order to reach it, as opposed to a steering column shifter or even a regular one. 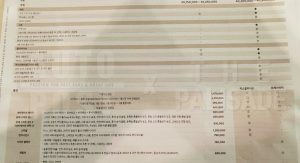 According to one of these images, in South Korea, the Palisade will cost between 34,750,000 Won and 40,800,000 Won, depending on which spec you choose. That translates to roughly $30,768 – $36,125 in USD, although we wouldn’t bet on those being actual prices for the U.S. We’ll most certainly know more as the 2020 Palisade approaches its on-sale date, scheduled for next summer. 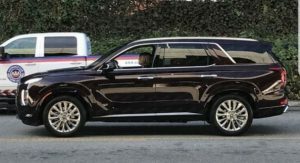 As for its engine range, the Hyundai Palisade might utilize a V6 petrol unit, likely the 3.3-liter V6 that currently produces 290 HP (294 PS) and 252 lb-ft (341 Nm) of torque in the Kia Sorento. The dash and center console are cool. 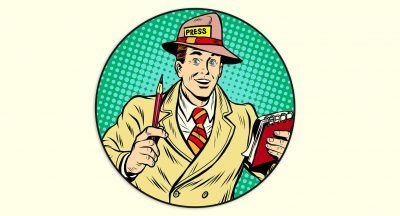 Wait, wait, wait…. those were dudes?! What is this about? Hehe.. getting curious. Palisade. Worst name ever. What’s next, the Hyundai Picket Fence, the Barbed Wire? Introducing the first ever Hyundai Wooden Fence Post! True, it looks like a Ssangyong Tivoli XLV from the back. And that’s not a compliment. ssangyong wish it was like hyundai and kia when it comes to success and marketing. 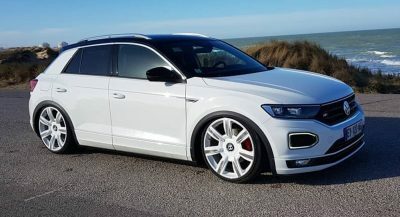 Good looking SUV. The rear is actually the best looking in class. I thought it’s going to have a boxy rear lights, but i was wrong. 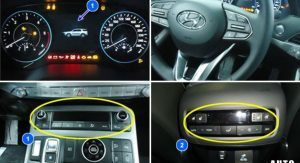 Hyundai is going on the right direction. 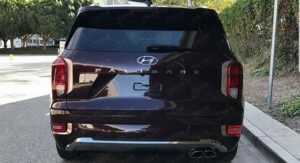 That rear looks very Ford Explorer/Expedition like. Also, the chrome around the side window is an absolute MESS. Front looks like a dated GMC. Not your best, Hyundai. Front end makes the Blazer look pretty. I had to chuckle at the Hyundai rep at my local auto show a few weeks ago. She said that Hyundai screwed up their CUV naming so badly that they’ve had folks storm out of the dealership when they couldn’t test drive a new Santa Fe Sport. 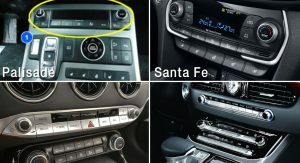 They didn’t want the Santa Fe because it was too big. I mentioned this thing (Palisade) and she just rolled her eyes. I don’t care for the back end, either. Whole thing is just strange…very strange, unlike the Aviator, which is pretty (but in-your-face ostentatious). Whelp, we all know there is a market for UGLY. Some people see ugly non-cohesive design as good looking or “edgy”. This is for them. I love that chrome highlight on the c-pillar. The chrome strip running up from the base of the A-pillar, above the door openings, then back down the C-pillar; that is the best looking design feature on the car. And when that is the best looking part of the car, you know something is amiss with the rest of the design. 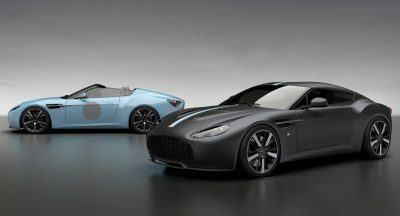 And the B-pillars look huge; maybe they look the same on other models, but they are really obvious here. Eek…I don’t know…looks like a Chevy…but a hodge-podge of a bunch of other SUV’s…wayyyyyyyyy to busy…. I agree. I see a Tahoe with an Infiniti front clip that’s been melted a bit. The Hyundai badge has never looked more like a cheap knock-off of the Honda badge than blown up to the size of a serving platter! The “PALISADE” name spelled across the pack is comically big. So tacky! Looks like a Chinese car from the rear. 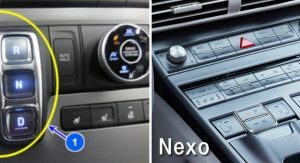 There’s nothing remotely similar btwn the Hyundai and Honda badges. And “tacky” like Range Rover, Porsche, Lincoln, etc. The Hyundai badge looks like a Honda badge that has melted and deformed in the sun. I think Palisade is extra tacky because the letters are so big. A size larger than Range Rover. The new Aviator also uses extra large “LINCOLN” letters across the back that look tacky. Bloody Nora! The styling is about as subtle as dancing a conga at a funeral! Too much going on w/ the design (esp. the chrome) and don’t like that flare/curve Hyundai added to the shape of the grille. 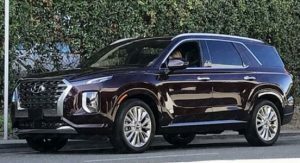 Overall, its Kia cousin, the Telluride, is a more coherent design and the Santa Fe does a better job w/ Hyundai’s CUV design language. 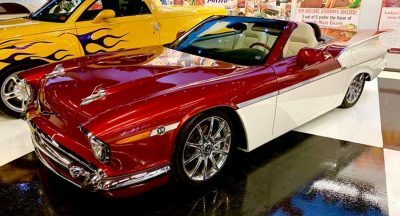 Gotta be the next luxury funeral car! What a piece of design mismatch! The front is as hideous as the the rest of the car. 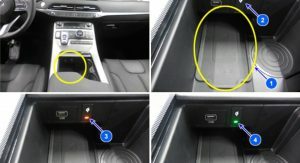 Hyundai is killing their own game. Looks like a Gangnam Style technicolor yawn.